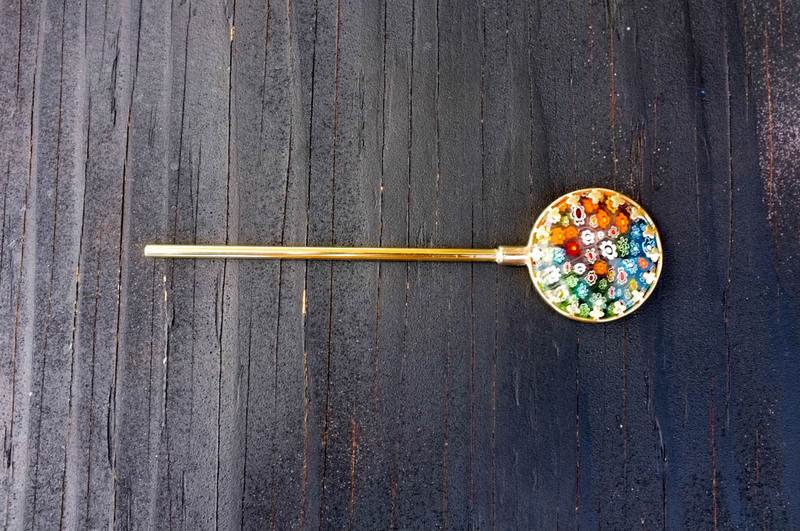 A versatile tool with a beautiful "Millefiori" glass handle. 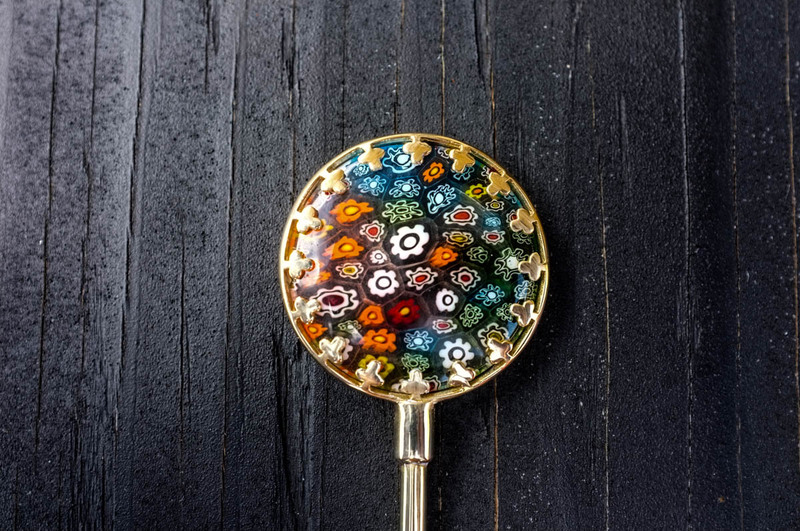 Millefiori (Italian: [mille'fjo?ri]) is a glasswork technique which produces distinctive decorative patterns on glassware. 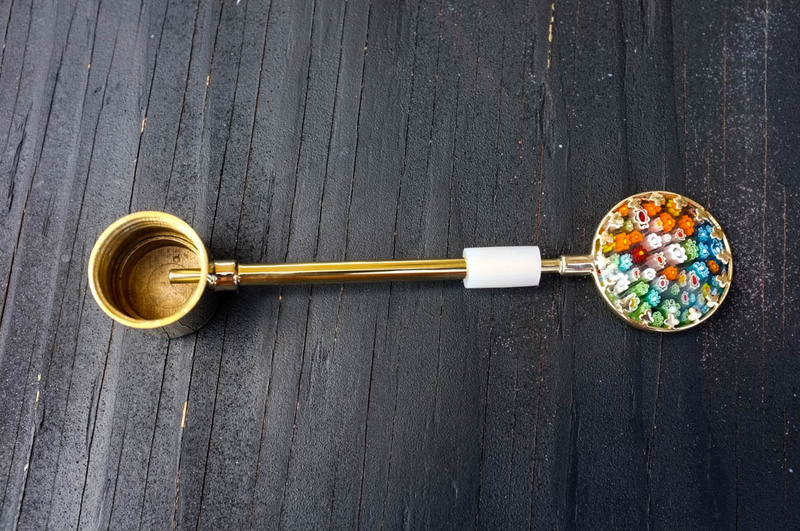 This stem cleaner features a Millefiori glass disc fitted in a brass ring on top. 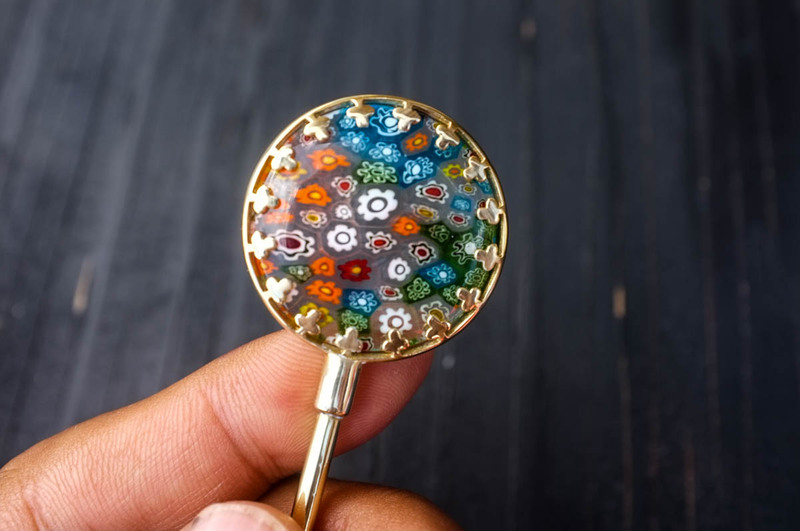 The glasswork is 1.25" in Diameter and 0.3" thick. 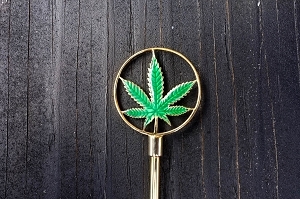 Use this handy tool to clean up the straw or down stem/flower head, or tamper the joint's open end. Heat up the tip with a lighter and push all the goo out of the straw. Gives a perfectly clean smoke each time. 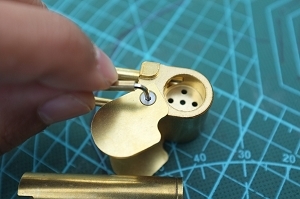 Works with all flower heads, down stem, Punchbowl pipes and Proto Pipe. 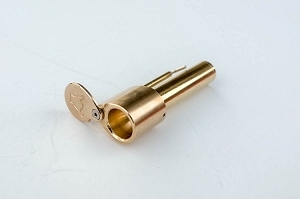 The tool is 3.5" long and 1/8" in diameter. 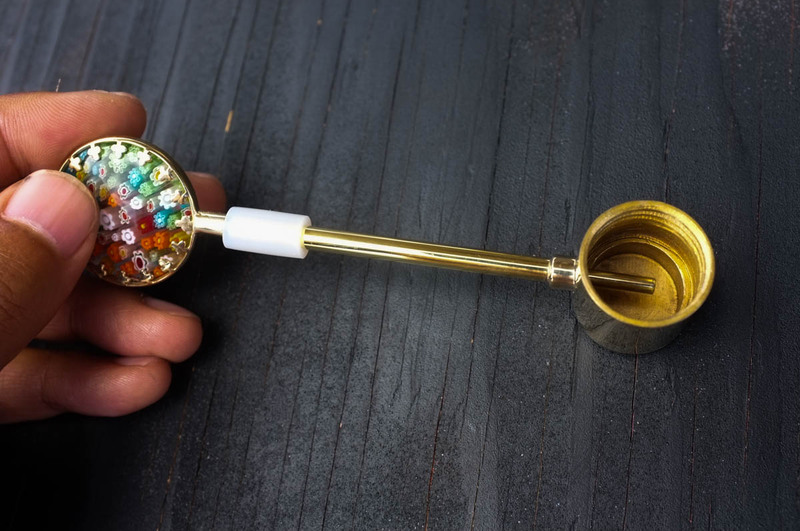 Most handy tool for your toke box. To learn more about this intriguing glasswork process, check out the following video. How it's made - "Millefiori Glass Paperweights".